Remember the last time around when the debt bubble burst with subprime mortgage loans the “debt to income” ratio was nearing 200%, I think we are nearing 165% in parts of North America. Watch out we are close to another debt bubble bursting. This time around it is student loans and sub-prime auto loans. All you have to do is look at how the stock market has been on a tear since 2009. Is it going to end soon…maybe. 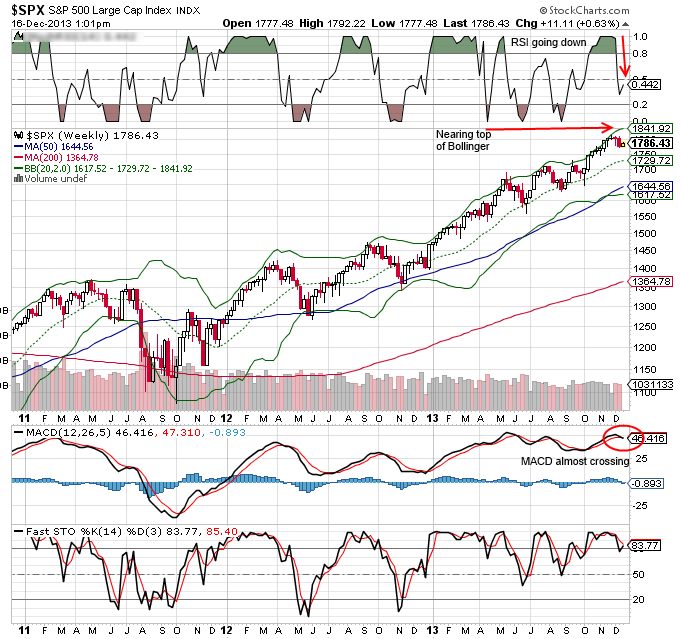 The weekly charts are showing things are getting frothy and tired at these high levels.